It is now more than 30 years since the Argentineans seized the Falklands, one of the last British colonies, and the British seized them back during what became known as the Falklands War. The war between the two included the hottest naval action of the Cold War. It was also, perhaps surprisingly, rather instructive about how things might have turned out had the Cold War turned hot. For the United States, there were lessons on three distinct levels. In effect, Thatcher saw the Falklands War as the great test: Were the British locked into decline, or did they have a future? The popular British response to the war suggests that many in that country agreed with Thatcher, and saw the war in much the same terms. One level was that of grand alliance strategy. Before the war broke out, Americans tended to assume that they led an alliance of completely like-minded governments against the Soviets; all other governments were neutral, leaning one way or another. One implication was that any war that might arise out of the Cold War would pit Western weapons against Soviet-supplied ones. That certainly seemed to be the case in the Middle East, where most of the Cold War-era wars were fought: Israel, the U.S. client and ally, was pitted against Arab governments allied to the Soviets. It was very much not the case in the Falklands, where both sides were U.S. allies using Western weapons. In fact, the Argentinians were the sole export buyers of the main British naval area defense missile, Sea Dart (the Chinese reportedly backed out of a planned purchase because they were dissatisfied with the system’s performance during the Falklands War). A postwar U.S. Navy study concluded that in the future the United States might well find itself facing Western rather than Soviet systems. A second level was political. In 1982, many in the Soviet leadership believed that the West had lost so much of its morale that its end was inevitable, and perhaps even near. The Soviets themselves were in trouble, but they thought they could survive. The Argentinians clearly thought much the same thing about the British. Initially many in Britain seem to have assumed that Argentinian seizure of the islands was just another unavoidable step in the slow decline of the British Empire. British Prime Minister Margaret Thatcher didn’t agree. Like U.S. President Ronald Reagan, she did not think the West was dying, let alone dead. She personally demanded that the Royal Navy form a task force to retake the Falklands. 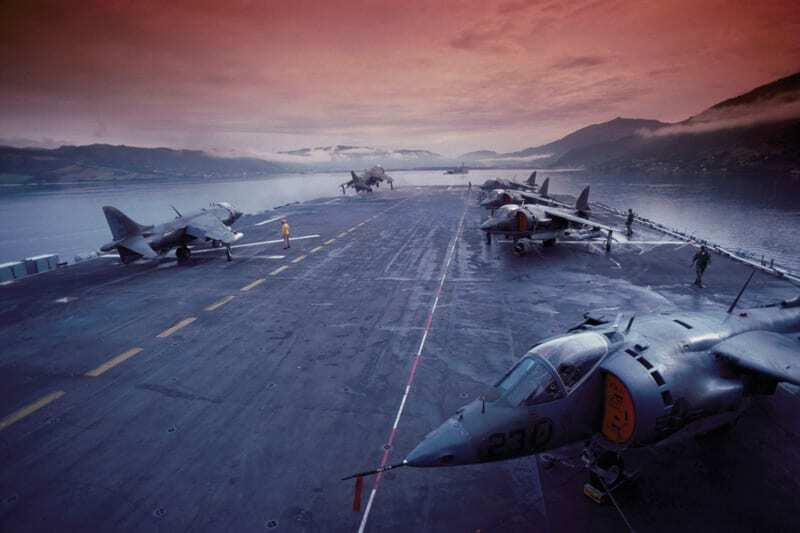 Even after the task force sailed, many on board were so skeptical of British resolve that they doubted they would be allowed to get to the Falklands. In effect, Thatcher saw the Falklands War as the great test: Were the British locked into decline, or did they have a future? The popular British response to the war suggests that many in that country agreed with Thatcher, and saw the war in much the same terms. The Soviet leadership was shocked. The West was still a serious threat. The Soviets found themselves taking Western initiatives, such as Reagan’s “Star Wars,” very seriously indeed. Thatcher’s was not, of course, the only demonstration of Western resolve; at about the same time, the Russians found it impossible to intimidate NATO governments that had decided to accept the deployment of U.S. Pershing and Tomahawk missiles on their soil. They, in turn, were probably much encouraged by Thatcher’s example. On the eve of war, Invincible was sold to Australia. This would leave the Royal Navy with only the light carrier HMS Hermes. The impact on the Soviets cannot be underestimated. In 1982-83, the Soviets were increasingly aware that they had been caught up in a new revolution in military technology based on micro-computers. In the Falklands, the British fleet deployed far more computing power, for example, than the Soviets had in all their fleets. The Soviet problem was that their economy had been contracting for years. It did not have the stretch it needed to compete on these new terms with the West, particularly while continuing to pour out existing types of weapons. Within a few years, a new Soviet leader would be chosen specifically because he promised to clean up computer production: Mikhail Gorbachev. His attempt to solve the Soviet economic problem destroyed the Soviet Union. The third level, the one usually emphasized, was tactical. The Falklands War was fascinating because it was a miniature version of the war U.S. naval strategists thought they might have to fight. With their missile-armed strike aircraft and their submarines, the Argentinians were a sort of small-scale version of the threat the Soviets posed against U.S. naval strike forces in the Norwegian Sea. The British task force was a small-scale version of a U.S. striking force trying to go north, to execute the evolving U.S. maritime strategy. The Argentinians had to do much what the Soviets had to do: They had to detect, track, and attack the approaching British task force. Ultimately the British had to land troops in the face of Argentinian air and ground forces. There were many surprises. For the British, the central surprise was that their key military planning assumption, that they could concentrate completely on the Central Front in NATO, was altogether wrong. Britain could not escape global responsibilities. That was not simply the legacy of empire; a few years after the Falklands, the Royal Navy found itself mounting an armed tanker protection patrol in the Gulf. That patrol was mounted not because some British colony or dependency was in trouble, but because as part of the Western alliance Britain had a vital national interest in maintaining the oil shipping route through the Gulf (somewhat later the U.S. Navy was also deployed there). 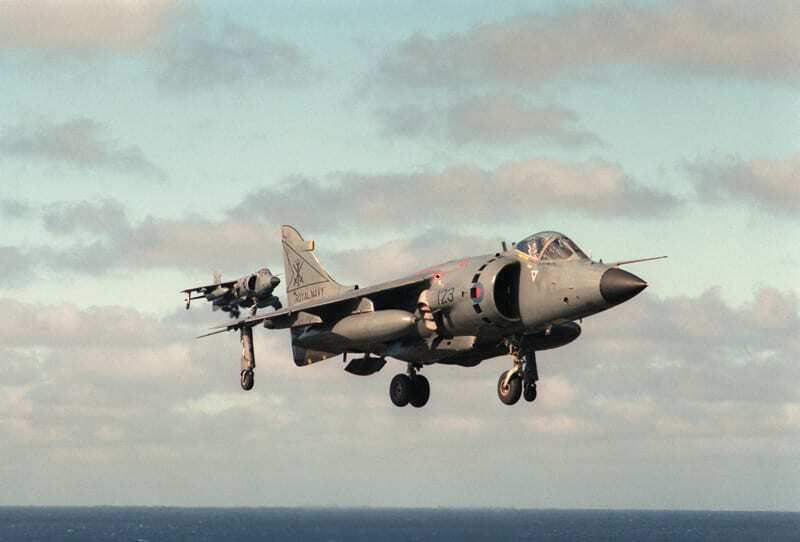 On the eve of the Falklands War, the British went through the latest of an apparently endless series of defense reviews intended to keep defense affordable. Defense Minister John Nott considered surface warships useless in a NATO war, on the theory that a war in Europe would be over long before seaborne reinforcements arrived. He also rejected the Royal Navy’s argument that its surface force would perform an essential deterrent function during any run-up to war. Nott therefore planned, among other steps, to sell off the new carrier HMS Invincible and to cancel her two sister ships. He also planned to sell the amphibious fleet. To Nott, the only acceptable future lay with nuclear attack submarines. On the eve of war, Invincible was sold to Australia. This would leave the Royal Navy with only the light carrier HMS Hermes.